Josue's goal is to steal a smile each time you see one of his magical creations. Turn the knob and watch it come to life. A major new contribution to the world of Mexican toy makers. Not made for children, they will still bring out your inner child. Josue (pronounced hoe-sway), a 23 year old mechanical engineering student trained under well known Mexican paper mache artist and teacher Osvaldo Ruelas Ramirez. The work appears simple, but there is a great deal of detail and creativity in making these mechanical creations come to life. 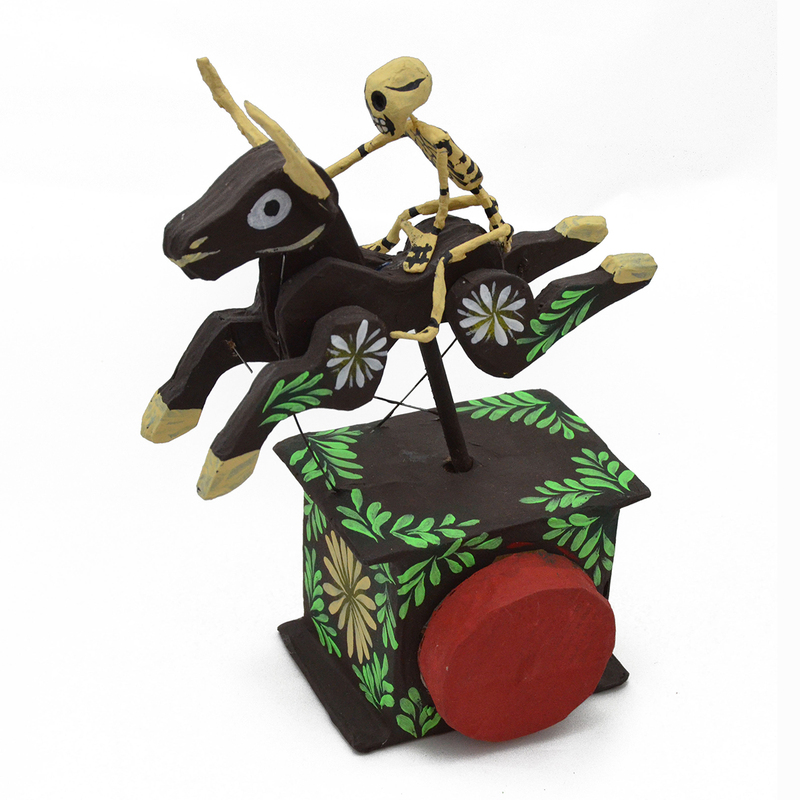 He has been quickly grabbing up awards for his work – all made from recycled materials too. Includes certificate of authenticity.